Read part numbers: 8J0963557 / 8J8881776. • Part number: 8J0963557 8J8881776. Audi TT 8J Coupé 2.0 TFSI LHD. Many more original parts from Audi available. be present on the paint. described, accurate. From an Audi A6 4F. eletrischen passenger seat (sports seat). - Electric adjustable. - With seat heating. from your part have send us. Material Leder. 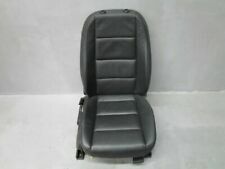 seat passenger seat Front Right for Lim Heated Audi 80 B3 89 86-91 144TKM!! Aus einem Audi A6 4F. Material Stoff. Einbauposition Vorne. Einbauposition Rechts. Beifahrersitz mit Sitzheizung. Oberflächenbeschaffenheit Stoff. (Bicolor Valcona leather). from an Audi A6 4F. electric front passenger seat. - With seat heating. from your part have send us. Material Leder. Produktart Beifahrersitz. From an Audi A6 4F. manual front passenger seat. - With seat heating. from your part have send us. Material Leder. Produktart Beifahrersitz. From an Audi Q7 4L. PASSENGER SEAT. from your part have send us. However has discoloration and should be cleaned, see pictures. Oberflächenbeschaffenheit Leder. Material Leder. From an Audi A6 4F. eletrischen passenger seat. - With seat heating. Material Leder. from your part have send us. From an Audi A6 4F. manual front passenger seat. - With seat heating. Material Teilleder. from your part have send us. From aAudi A6 4F. electrical part leather sports seat. Material Leder. from your part have send us. Supplied as abge forms. Features Bucket Seat. Features Cooled Seat. Surface Finish Leather. Features Adjustable Seat. Features Massaging Seat. Features Motorized Seat. Features Reclining Seat. Type Driver Or Passenger Seat. Features Heated Seat. Features Bucket Seat. Features Cooled Seat. Surface Finish Leather. Features Adjustable Seat. Features Massaging Seat. Features Motorized Seat. Features Reclining Seat. From an Audi A6 4F. - With seat heating. Material Leder. from your part have send us. Electric passenger seat (Alcantara sports seats). from an Audi A6 4F. Material Leder. from your part have send us. Produkttyp Sitz. Besonderheiten Mit Sitzheizung. Part number / part number: 8K0881106F / 45227150100. Audi A4 8 K B8 avant 2.0 TDI diesel 4 door LHD. 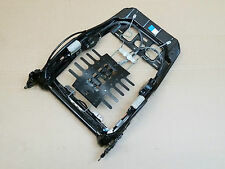 Many more original parts from Audi available. be present on the paint. Used portion the specified part number. From an Audi A6 4F. manual front passenger seat. - Seat heating. from your part have send us. Besonderheiten Mit Sitzheizung. Part Number: 4H0959918A 6HP. Original Audi A6 4 G C7 Push button for massage lumbar support soul black right (passenger seat). Audi A6 4 G L imousine2.8 FSI petrol 4-door LHD. · Color code / colour code LZ9Y phantom black / phantom black. AUDI A4 8 K B8 Backrest upholstery Fabric light grey right front (LHD passenger seat). Original Audi A4 8 K B8 Back rest cover fabric light grey front right (passenger seat LHD). Audi A4 8 K B8 avant 2.0 TDI diesel 4 door LHD.